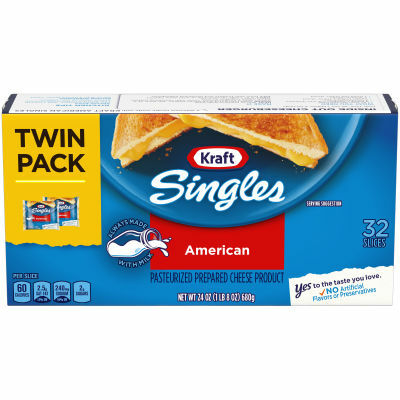 A traditional favorite for over 100 years, Kraft Singles elevates any sandwich or burger with the unmistakable melt and classic American taste that you and the whole family will love. Made without the use of artificial preservatives or flavor, these singles are an easy way to add creamy goodness to any cheesy recipe. Pick up our Twin Pack today to enjoy that melty, great American taste you love.